We are a community of musicians, artist managers, venues, educators and producers. We as a team possess a 360 degree view of the current musical landscape, along with a passion for listening to and learning from the artists we work with. We believe that an emerging artist's greatest supporter/advocate is their own community of friends, musicians and collaborators. GRID's mission is to bring all of these people together and support the growth of an independent, original, live music community. Ariel Blum is a Melbourne based producer. Having cut his teeth as guitarist/band leader of Melbourne 9 - piece soul band Pablo Discobar for eight years, Ariel naturally gravitated towards studio production and arrangement. Ariel's energy, passion and curiosity for musical creation led him to travel over the world for 2 years, mining the sounds of other cultures and immersing in a diverse palette of styles and genres. He found himself living and studying in Granada, Spain, regularly taking short visits to London to work on a number of writing projects. Over the past three years, Blum’s production and writing skills have been in high demand. Recent credits include producing records for Telescopes, The Fabric, Lara Andallo, Blashki, One Giant Thing, Aya-Rosa, Sarah Rzek , Sarah Stone, Eeda, and Daughter of Dynamite, as well as co-writing credits for Cash For Gold and Straythread, the latter having recently been nominated in the Independent Music Awards Folk category. He has also leant his unique sound to remixes for Owl Eyes and The Temper Trap. David Morgan started out in the music industry moving from New Zealand to Melbourne in 2006 with his band BONJAH. As a self managed artist for many of those years he gathered a wealth of knowledge through experience, doing all the wrong things and some of the right things. 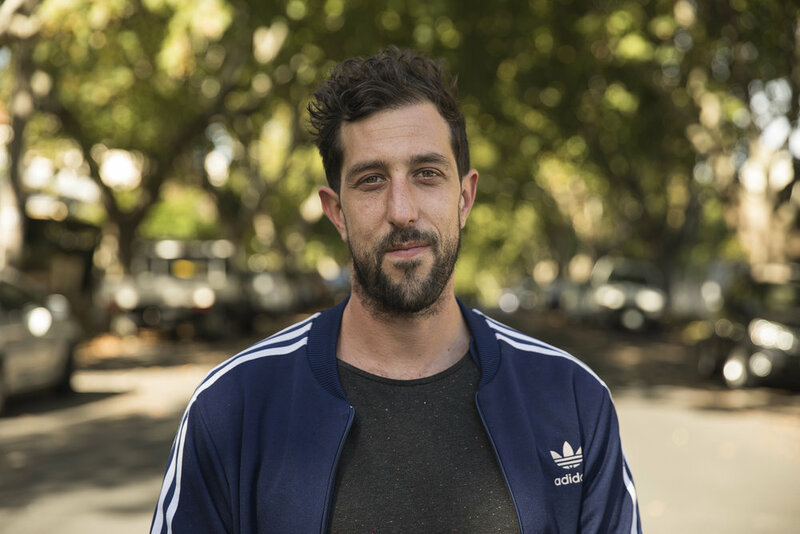 In 2013 he and band mate Regan Lethbridge started Lemon Tree Music Management who currently look after the careers of Tash Sultana, The Pierce Brothers, Maddy Jane and Willow Beat. With their finger on the pulse of a constantly changing industry, LTM have a unique intuition, discovering and developing raw talent and working with those artists to help them build international audiences. Danae Effern is director of Little Giant Agency, a Melbourne based music agency working across management and PR with the likes of The Smith Street Band, Press Club, The Teskey Brothers, The Bennies, Food Court, Leah Flanagan and Benny Walker to name a few. Little Giant Agency works with Australian and international artists across release and touring as events such as Face The Music. Russell started his career in Melbourne working at Sing Sing Recording Studios where he and learnt his craft from some of the finest Producers & Engineers in the world. His natural technical ability and calm, patient dedication to his projects saw him move quickly to freelance Production, Engineering and Mixing, working on projects for both Australian & International artists. In early 2009 he moved to the UK where he worked for a diverse range of artists including The Arctic Monkeys, The Fall, Florence & The Machine, Gabrielle Aplin, The Kooks, Noah & The Whale, Rae Morris, The Temper Trap, U2 and many more. Matt Voigt started working at RBX studios in 1992 where he worked on the recording and mixing of TV Ads, documentaries, jingles and emerging artists. After nearly 2 years, he moved to the famous Sing Sing Studios. There he learnt recording, mixing and production techniques from producers such as Nick Launay, Nick Dadia, Tom Lord-Alge, Victor Van Vugt and many other acclaimed local producers. During Matts time at Sing Sing he worked on classic albums like ,The Living End debut album, Powderfinger Odyssey Number 5 and midnight Oil Redneck Wonderland. Matt has also recorded and mixed for acts like Kiss, Cat Power, The Dirty Three, The Killers, Will I Am, and The Blakeyed Susans just to name a few. In more recent years Matt has worked on projects for bands such as The Smith Street Band, Big Scary, The Twerps, The Ocean Party, The Nation Blue and Oh Mercy. Matt continues to produce, record and mix music and is passionate about sharing his knowledge, experience and ideas with like minded artists and producers.